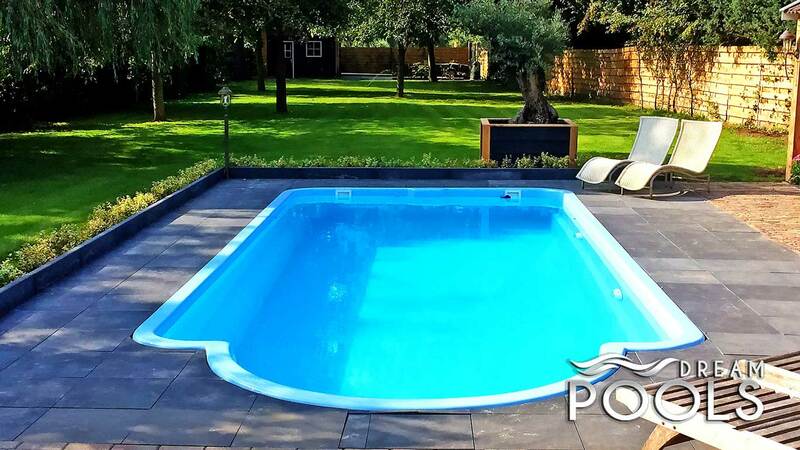 DreamPools polyester pools are suitable for self-assembly. 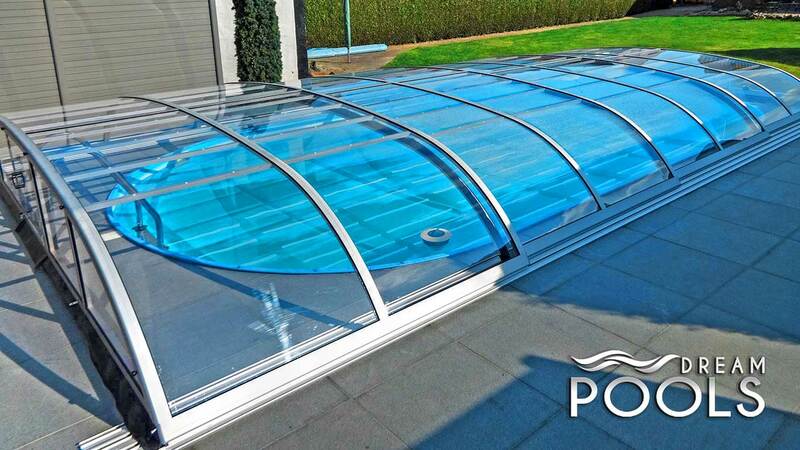 Below, we present tips of fiberglass pool installation. 1. Dig a hole in the ground. 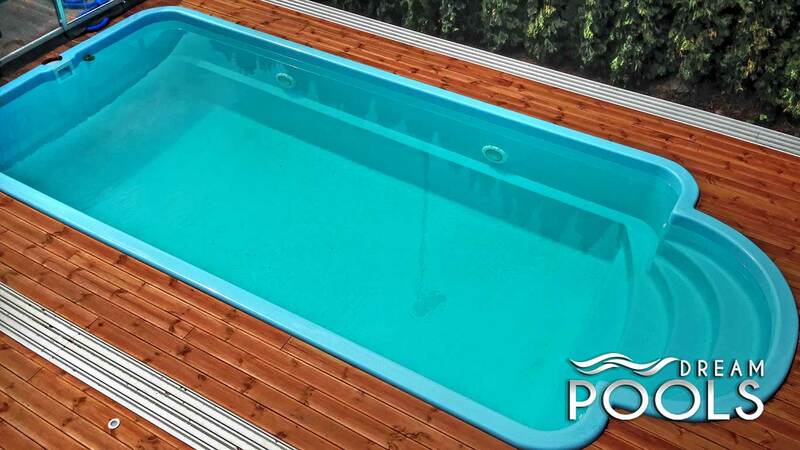 Its dimensions should be about 0,5 – 0,8 bigger than the dimensions of the fiberglass pool. 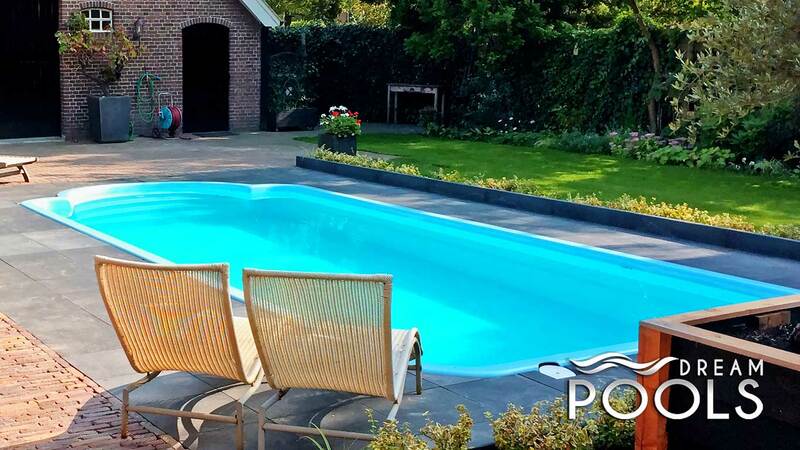 In the case of high groundwater levels perform drainage around the pool. 2. Preparation of the substrate and the reinforced concrete base slab with a total thickness of about 15 cm. 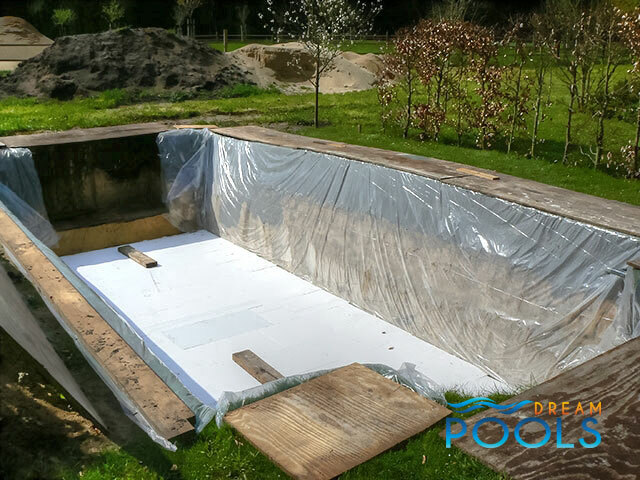 The size of the slab is equal to the external upper edge of each fiberglass swimming pool size. 3. It is advised to put a hard styrofoam on the concrete base slab. 4. 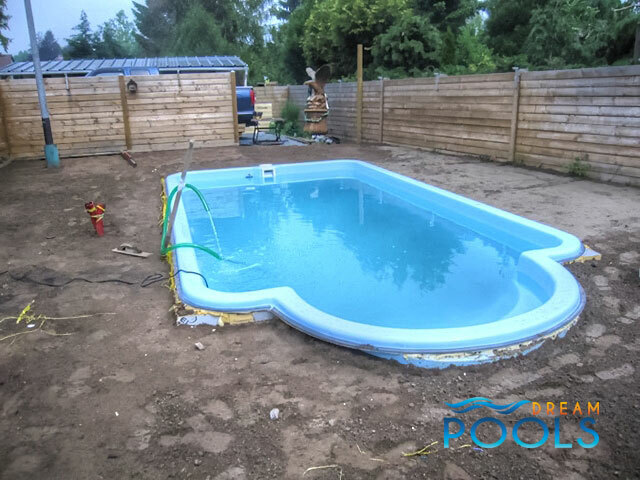 Set the polyester pool on the pre-prepared base. 5. Pour the water into the pool at a height of about 20 – 25 cm. 6. 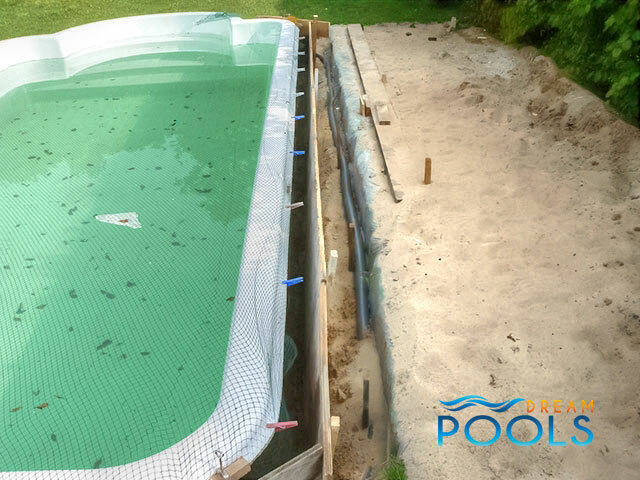 Fill the space around the sides of the fiberglass pool with mortar made of sand and cement (proportion 4:1) until the level of mortar is the same as the level of water. Carefully pour water over the mortar to adjust the shape of the pool. 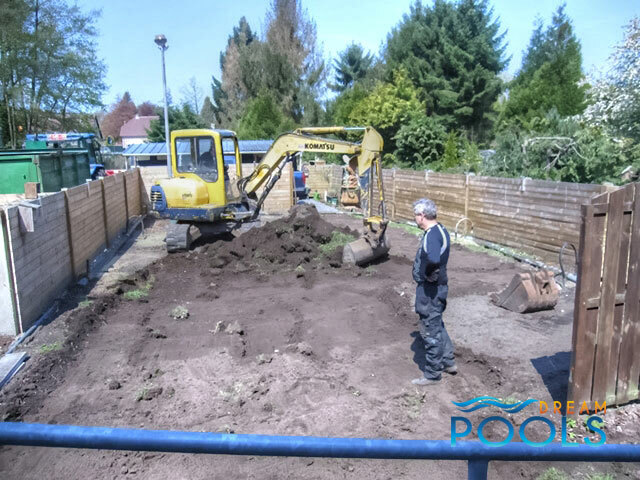 When pouring mortar around the sides of the pool the level of water should be slightly higher than the level of mortar. The concrete must not be compact mechanically. The pool steps should be supported with concrete blocks. 7. Pour the next 20 -25 cm of water into the pool. 8. Repeat steps 6 and 7 until the swimming pool is completely filled with water. After that the fiberglass pool installation is finished.